I try to be superwoman - I try to be everything for everyone, and it doesn't always work. I reach the point, all too often, when I have to say, "No," and I tend to hurt someone's feelings in the process. These are the moments when I most hate being an adult and want to let someone else handle my choices for me for a little while. Lately, these have been easy decisions, in the sense that one priority has a clear weight over the other in the immediate future, but hard in that there are emotional investments involved. 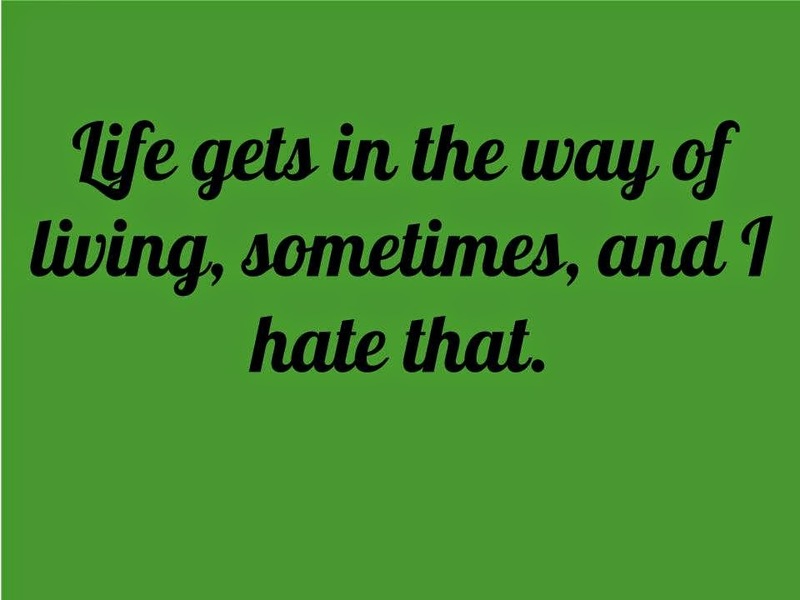 Life gets in the way of living, sometimes, and I hate that. The holidays offer up an overabundance of guilt, especially for we Catholic women who, though we profess to be immune to the stuff, are actually most likely to fall into its nasty clutches. I had a little meltdown - a productive meltdown, actually, in that I could clearly delineate between logic and emotion (not that I felt the emotion any less, but at least I could identify the two sides). As many people do, we have many demands on our time as a family - we have my husband's quest for the perfect mushroom (or 40), my dad's impending retirement, increased responsibility at work, the demands of preschool's after school (and in school) events, and, you know, those little things known as the holidays. I hate that I had to say no to attending my dad's official retirement ceremony because it takes place at the exact same time as a training that I AM GIVING. Ugh. And I can't change it, because the schedules of teachers are such that meetings have to happen in a very narrow window of time. Logic: We can celebrate with my dad another time. Emotion: He's worked 30 years at this job, and it would nice if his family showed up to clap. I hate that we missed my son's preschool Christmas program, because it took place during naptime. Logic: Don't mess with naptime. Emotion: I wanted to see my little 2.5 year old get up and sing in his first rehearsed performance ever. I hate that we are missing much of the pristine and perfect mushroom season, but I love that we are getting to see family out of state for the holidays. Logic: Family trumps mushrooms. Emotion: But we've been in a severe drought, haven't had this kind of season in years, and my husband worked for three months straight during harvest and deserves some fun. I'm trying to let logic win out on this, and, so far, it is, but I can't stop my heart from hurting...especially because tiny preschoolers singing jingle bells. No, there's no end to that sentence...just tiny preschoolers singing jingle bells. You know?